Chameleon Power, a provider of integrative software visualization technologies in 2D, 3D, Virtual Reality and Augmented Reality, has launched an all-new, cost-effective solution for homebuilders. The visualization suite will allow builders to utilize similar tools to some of the largest builders in the industry without the considerable investment that often comes along with it. The Standard Builder Tool Suite will enable a lower cost of sale and higher quality leads that are more likely to buy. Chameleon Power offers photo-realistic accuracy and an online-to-design center experience for clients. This technology can reduce the sales cycle, design cycle and entire build process, making it easier for builders to close the deal and sell more homes. 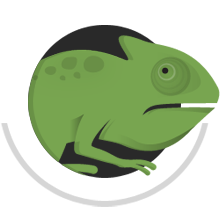 In fact, one builder reported a 34 percent conversion rate increase after utilizing Chameleon Power’s software. The services offered in the Chameleon Standard Builder Tool Suite include basic exterior or interior visualizer customized with your logo and website colors; suppliers – your vendors; scenes – your elevations and room scenes; and ongoing hosting, product maintenance and customer support. Sign-up for this program requires an initial fee and a monthly license fee. Chameleon Power also offers other builder tools that can be added to your order for additional cost, such as the Digital Swatch Tool and AR Lot Selector.